By CNN'S SARAH WESTWOOD, CLARE FORAN, KYUNG LAH, TAL KOPAN, ELIZABETH LANDERS AND A. CHRIS GAJILAN CONTRIBUTED TO THIS REPORT. 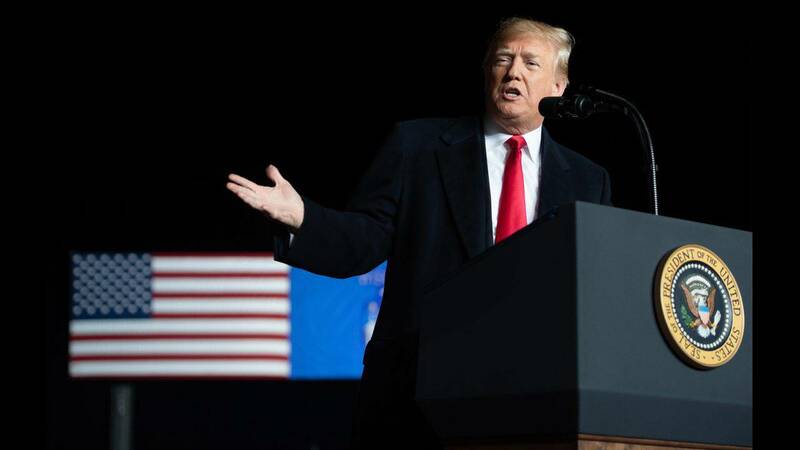 (CNN) - Voter fraud is extremely rare in the United States, but President Donald Trump on Monday warned against "illegal voting" during the upcoming midterm elections, dredging a familiar trope he worked to popularize during the 2016 presidential election. "Law Enforcement has been strongly notified to watch closely for any ILLEGAL VOTING which may take place in Tuesday's Election (or Early Voting). Anyone caught will be subject to the Maximum Criminal Penalties allowed by law. Thank you!" Trump tweeted. There is well-established evidence that voter fraud is extremely rare. For example, stealing someone's identity to vote is less likely than being struck by lightning, as the nonpartisan Brennan Center for Justice at the New York University School of Law put it. In addition, election researchers and experts around the country who spoke to CNN ahead of the 2018 midterm elections all agreed that there is zero evidence for widespread voter fraud, whether by citizens or non-citizens. Nonetheless, Trump told reporters Monday: "There are a lot of people, a lot of people in my opinion -- and based on proof -- that try and get in illegally and actually vote illegally. We just want to let them know there will be prosecutions at the highest level." Fears over election accuracy and security -- be that in the form of alleged voter fraud, voting system hacking by foreign or domestic powers, out-of-order voting machines, issues at polling places, etc. -- have bubbled up ahead of recent major US elections, including this one. But the President, without substantive proof, has sought to weed out "illegal" voting since the 2016 presidential election, when he falsely claimed that "millions of people" voted illegally for Democratic candidate Hillary Clinton in the 2016 presidential election, costing him the popular vote. In May 2017, the President established an election integrity commission, naming Vice President Mike Pence as chairman and Kansas Secretary of State Kris Kobach -- a noted proponent of voter fraud theories and related policies -- as vice chair of the commission. The commission was dissolved in January 2018, with Trump citing hurdles for getting "mostly Democrat States" to grant the commission's request to disclose sensitive voter information. However, at one point, some 44 states refused to hand over the voter data. Announcing the disbanding of the commission, the White House asserted in a short statement, without evidence, that there is evidence of "substantial" voter fraud. However, the commission did not find evidence of widespread voter fraud, Maine Secretary of State Michael Dunlap, a former member of the panel contended, citing internal documents he obtained related to commission activities. Dunlap said that the commission's "purpose was not to pursue the truth but rather to provide an official imprimatur of legitimacy on President Trump's assertions that millions of illegal votes were cast during the 2016 election and to pave the way for policy changes designed to undermine the right to vote." Kobach said in a statement to CNN that Dunlap was "willfully blind to the voter fraud in front of his nose."